All Things Jabu has been previewing the games and really backing the team in the start up to the Olympics. 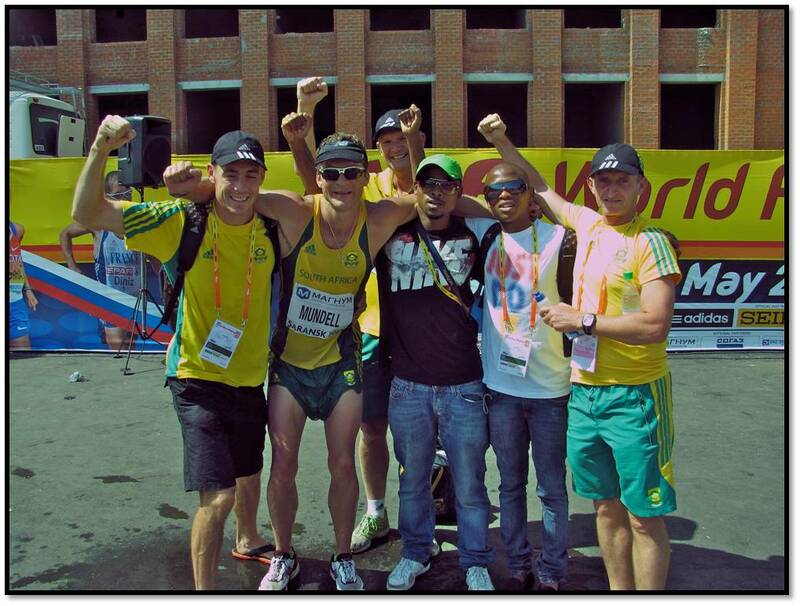 The other day we previewed the Athletics challenge that Team South Africa would present. 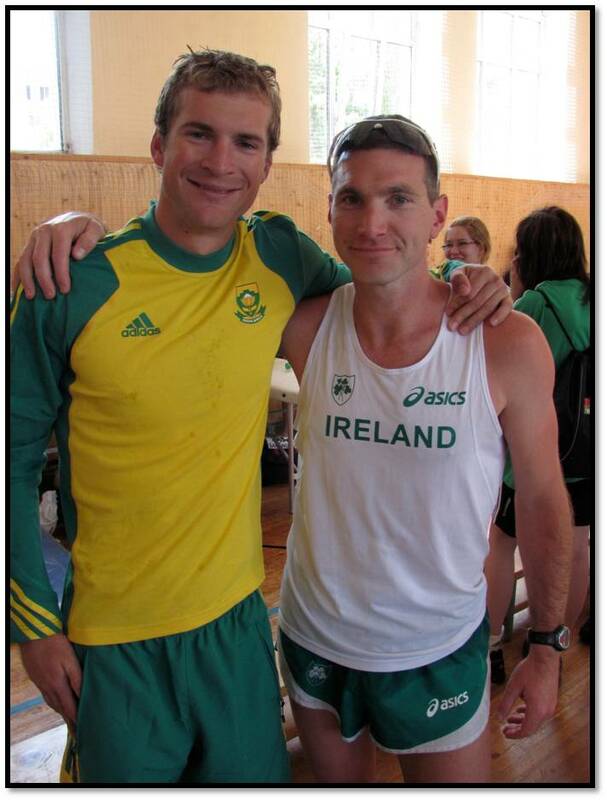 We then sat and had a chat with marathon walker Marc Mundell about his first venture to the Olympic Games. All Things Jabu (ATJ): Hi Marc, firstly congratulations on setting a qualifying time and getting the opportunity to represent South Africa at the Olympics! Is this the proudest moment of your career? Marc Mundell (MM): Yes, most definitely the confirmation that I was selected to represent South Africa was very special. I think that walking into the stadium during the opening ceremony will be the proudest moment of my career. ATJ: Okay, having a qualified for the games, what are your goals for the Olympics? MM: My goal is to achieve a new personal best and to walk to the best of my ability at the Olympic Games. If I get a good position, that will be brilliant. I am using this is preparation for Rio 2016, where I hope to be competitive, such is the nature of endurance events. 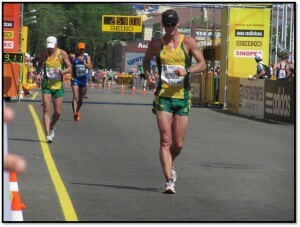 ATJ: For our readers that don’t know much about Race Walking, what is the big difference between walking and jogging? MM: Jogging or running allows athletes to break contact with the ground and to have bent knees. Walking requires concentration and focus on technique to ensure that there is always contact with the ground and that when the heel makes contact with the ground at the front, that the knee is locked (i.e. not bent). ATJ: Thanks for that, it sounds rather challenging to us! How long have you been competitively walking? MM: Since I was 12 years old, following in dad’s footsteps. I started in primary school and have kept going ever since. ATJ: We salute your dedication to the sport! Apart from qualifying for the Olympics, what has been the highlight of your career so far? 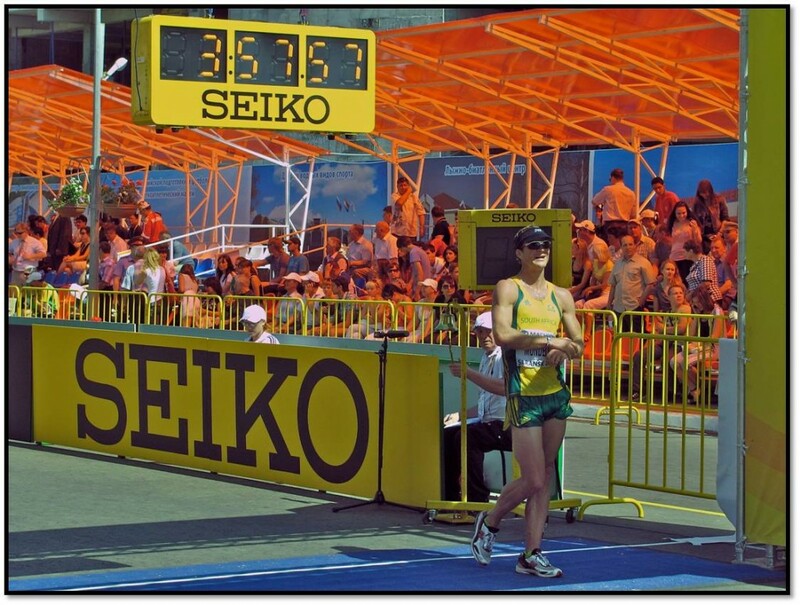 MM: Setting a new national record in the 50km distance on debut in 2009 was a definite highlight, surpassed only by my qualification and new national and continental record in 2012. ATJ: That’s awesome. How can South Africans get more involved in Walking? Are there lots of races available to them? MM: Walking, like jogging has tremendous health benefits and keeps people healthy and active without the joint impact often associated with running. South Africans can start off by participating in prominent big walks like the 702 and Cape Times big walks. Thereafter, they can participate in road races held throughout the country over the weekends, starting with 5km and building up to marathon and ultra distances and ultimately Comrades. Road races are enjoyable and a great social way of measuring your improvement, whilst seeing new places at a reasonably low cost; only costs are transport, entry fee and a pair of shoes. Once athletes are more competitive, they can join various clubs around the country, many of which now accommodate walkers. In the race walking community, there are select races around the country that encourage top walkers to participate. ATJ: Being at the Olympics means you will meet some of the biggest names in sport. Who are you most excited about meeting at the Olympic Games? ATJ: That’s fantastic and we hope you are able to reward them with a top quality performance at the Games. What other event are you excited to be getting the opportunity to see? MM: I am excited to see the top athletes, many of whom I’ve known for years. There is a great team spirit and supporting any South African at the Olympics will be an honour. I know how hard I’ve had to work and respect each persons struggle. I will support whoever I can whenever I cam. ATJ: Having raced over shorter and longer distances, the natural question to ask is what is your favourite distanced race? MM: The longer, the better for me so far. I enjoy the 50km walk and I am quite keen to run some marathons and ultra’s later on. Additionally, I like road cycling events and spend much of my “winter season” months on the bike. ATJ: Being part of Team South Africa, who have been set a goal of 12 medals, which other South Africans do you think will be most likely to win us some medals? MM: I am very confident in athletes like LJ van Zyl, Caster Semenya, Sunette Viljoen and Khotso Mokoena who have consistently performed at big meetings. Also, Steven Mokoka in the marathon and then men’s 4×400 quartet. Furthermore, Richard Murray is in good shape for the triathlon and top swimmers include Cameron vd Burgh and Chad le Clos. I think the men’s medley relay is also a potential candidate. The BMX racer Sifiso Nhlapo has shown consistent shape this year and will be a force in London. ATJ: We sure hope that you could spring a surprise and add one too! Where can readers find out more about you? MM: I am slowly getting more involved with social media. I am running daily updates and posting pictures to my facebook page – MARC MUNDELL and I am on twitter as well. ATJ: Thanks for the time Marc, good luck for the Olympics and know that you have the whole nation backing you! MM: Thank you for all the support and encouragement. It is great to have the support of the nation. All Pictures are courtesy of Pierre de Villiers and should be credited accordingly. All Things Jabu has explicit rights to reproduce the images.